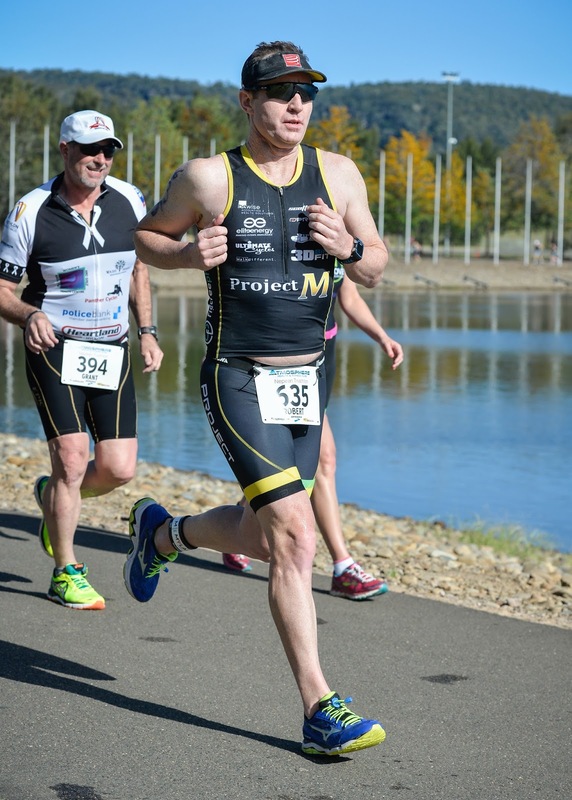 Nepean Triathlon is Australia’s oldest. In 2016 the race celebrated its 35th anniversary, it was my second appearance at the same venue. The race marked exactly one year since I had decided it was time to get a coach and, thus, had been under the tutelage of Nathan Miller. I thought it would be a perfect reference point of any gains I might have made in that time. 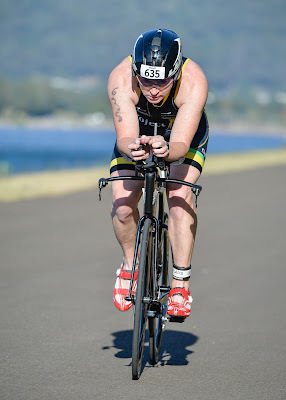 I tuned up for the event a week earlier with a spin around at the local Illawarra Triathlon Club race. This was done on tired legs after a long ride and run combination the day before. It was a brisk morning with temperatures hovering close to single digits; thankfully the water was slightly warmer. The swim was a wetsuit affair and I set off in the tenth wave, what seemed an eternity after the pro’s had left. I felt good during the swim, with a lot of miles in the arms I churned through the 1km with minimal interference and managed to find a few sets of feet along the way. I was a little shocked at how slow the time had been but, in hindsight, I was about where I expected to be in the field and the time was more a reflection of conditions on the day. The swim isn’t my strong point so I was keen to press on during the bike and run. I was in and out of T1 as quickly as possible. The results show that I made up 11 places there alone. The 30km out-and-back ride presented a bit of a challenge, but only for half of the ride. A solid wind had whipped up, thankfully it was a tailwind on the way out and had me feeling like Sir Bradley Wiggins, whizzing past earlier waves with a minimum of fuss. Then I reached the turnaround. The breeze slapped you in the face like a disgruntled wife after you’ve rocked up home at 4am after just going down the pub for one beer. The figure of Bradley Wiggins was quickly replaced by a 4yo trying to ride up Bulli Pass. I focused on staying aero and keeping the power on and still steadily made progress through the field. I jumped off the bike with a time three minutes faster than a year earlier and I had made up a further nine places. I couldn’t wait to get onto the run, easily my favourite leg. That in itself was an indication of how things had changed in a year, 12-months earlier I was dreading it. I immediately found a good rhythm and a comfortable heart rate, that happy medium between not having a go and completely blowing up. I was happy when I saw the pace that I was running and did all that I could to hold it for 10km. I crossed the line with the third best 10km I have ran and easily my best off a bike. I’d made up another nine placed to finish 21st of 97 in my age-group. A year earlier I had finished 62nd and gone eight minutes slower. One of the big take-aways for me is that consistency and hard work, along with a good program and advice, will give you great scope for improvement. There is still a long way to go but I am very happy with how far I have come. Now it’s onto Challenge Shepparton in mid November where I’ll make my half-distance debut, I can’t wait.